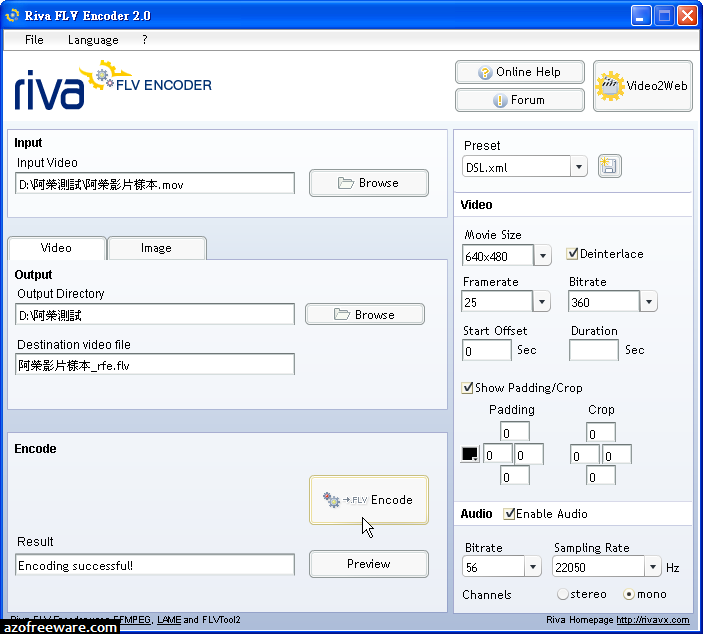 Riva FLV Encoder enables you to encode video files to Flash video (.FLV) files. 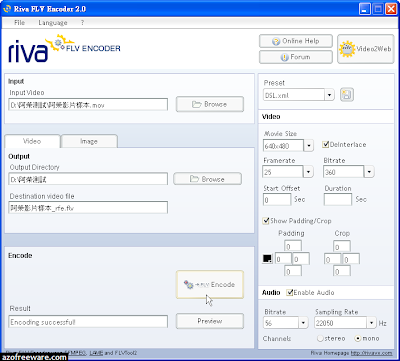 It currently supports the most common video formats, including AVI, DV, MPEG, MOV, and WMV, and includes a player to preview the converted .FLV file. The program supports custom output settings and allows you to save your configuration as profile for easy access. Version 2.0 includes FLV 1.1, cropping, and padding.